(Guacamoley) The United States Departments of of Agriculture conducted a study in 2013 showing that nearly 1% of homes in the cities of Denver, Los Angeles, Miami, and New York City owned chickens. The same study found that nearly 4% of households in the same cities planned to have chickens in the next 4 years. If this prediction came true, those statistics should be accurate today. And in certain urban areas, such as the Silicon Valley, raising chickens has become a status symbol. But the problem with chickens as pets is that they poop a lot. If you can avoid reading a story with the headline “The Booming Business of Chicken Diapers,” you’re a lot stronger than I am. 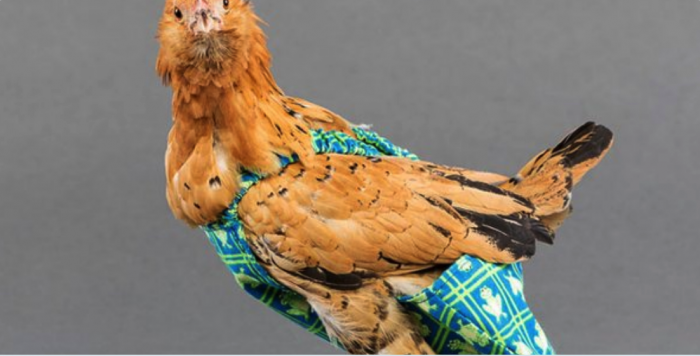 The booming business of luxury chicken diapers.